They were heavily criticised for introducing their youngest son to Justin Bieber's manager to begin his pop career at 11 years old. 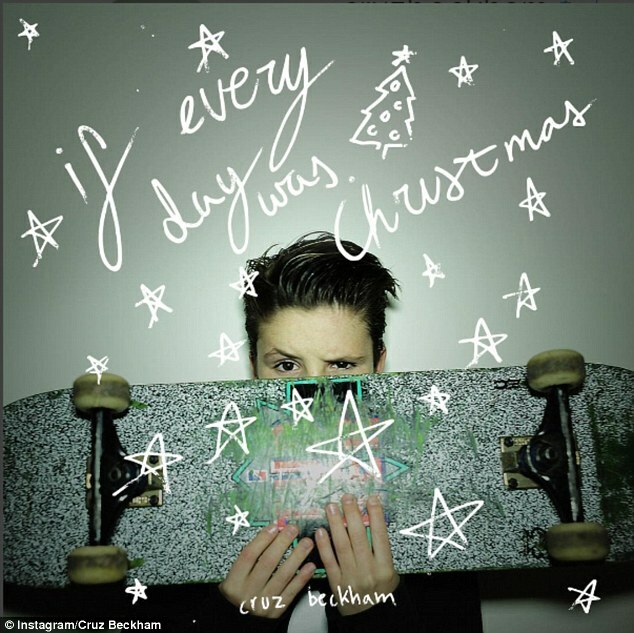 But David Beckham has insisted that it was Cruz himself who came up with the idea of releasing the festive single - If Every Day Was Christmas - for charity this year. 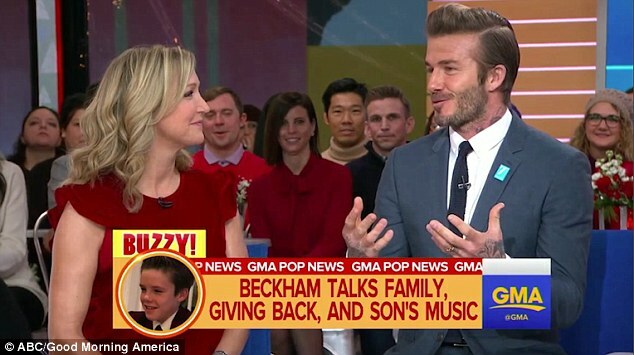 Speaking to Good Morning America on Monday, the father-of-four responded to claims that he and wife Victoria were acting like 'pushy parents'. He explained: 'And Cruz came to us and said "How about I do a Christmas song for charity? And all the proceeds go to charity." There’s nothing more to this than that at the moment. 'He's 11 years old, he's still at school, he’s concentrating at school that’s the most important thing but he wanted to give back and he’s done this amazing little Christmas song that’s got a lot of attention. 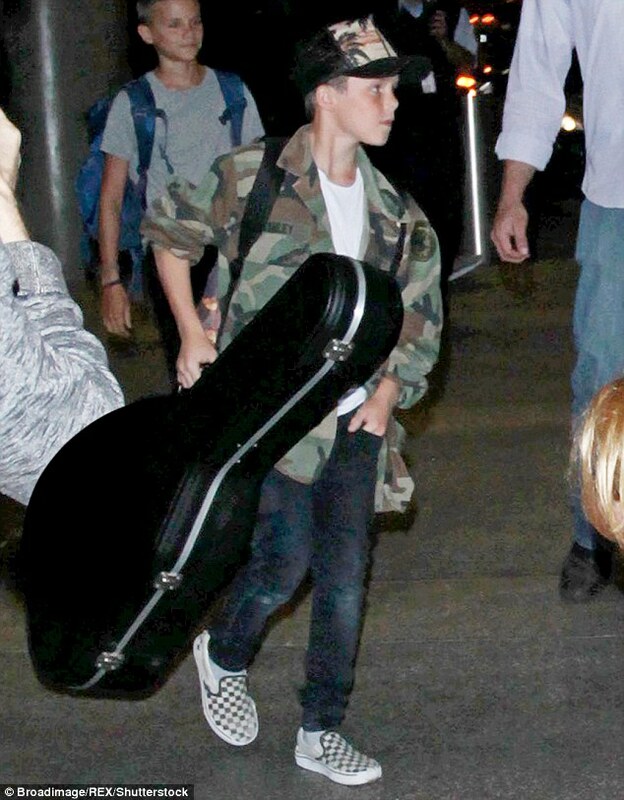 Cruz, who is signed with Justin Bieber's manager Scooter Braun, is said to have agreed a one and done type of deal, according to his father. The proud dad said: 'The amazing thing about this, we only realised Cruz has a cute little voice about nine months ago. His words came after television personality Piers Morgan called Cruz's early pop breakthrough 'sickening' on Wednesday's Good Morning Britain, adding that Cruz 'should be at school'. Cruz released his first single, which is set to raise money for Global's Make Some Noise campaign, earlier this week. 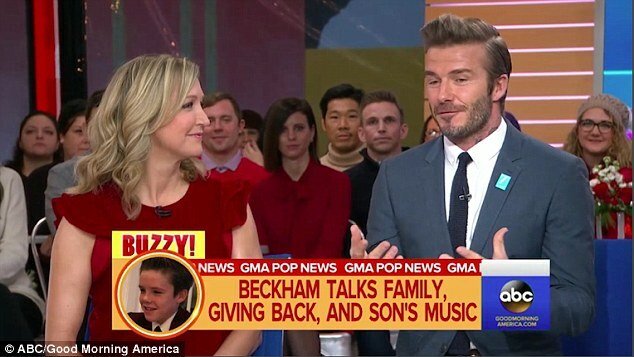 David was on the show to talk about his own charitable work with children's foundation UNICEF. 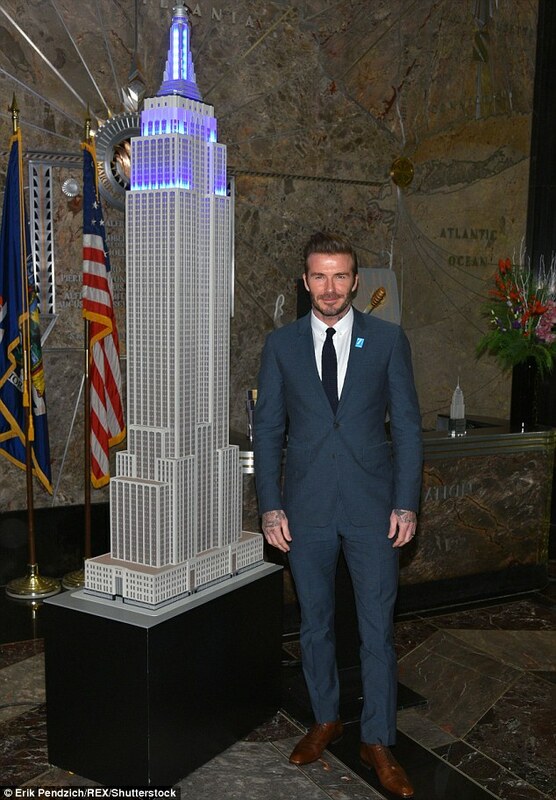 Later that day, a dashing David was lending his star power to illuminating the Empire State Building in New York City blue to help commemorate the charity's 70th anniversary. UNICEF ambassador David continued his own charitable commitments, having publicly spoken out in defense of his youngest son. 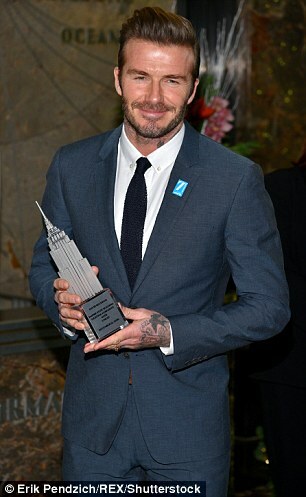 Former football hunk David wowed in a dapper navy blue suit that concealed most of his signature tattoo. Donning a simple white dress shirt underneath, the sportsman sported an eccentric coal knitted tie as he held an even miniature statue of the famous building. The father-of-four rocked a shiny pair of leather tawny pointed shoes that matched his belt effortlessly as he posed with event attendees next to a replica. 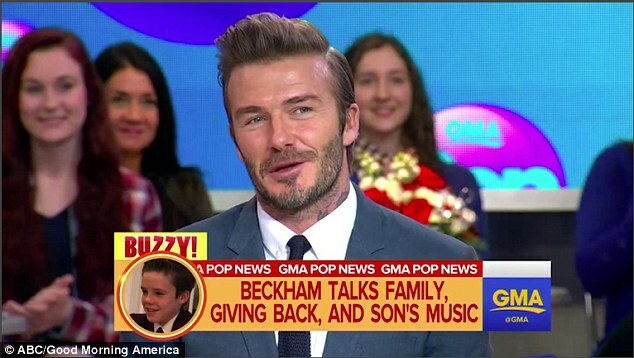 Beckham has been a UNICEF Goodwill Ambassador for over 10 years, launching 7: The David Beckham UNICEF Fund in 2015 which saw him make a commitment to helping the world's most vulnerable children. 'When I launched my 7 Fund with UNICEF, I made a commitment to do everything I can to make the world a safer place for children and to speak out on issues that are having a devastating impact on children's lives,' David explained. On Monday, the footballer released a video campaign where he rocked new ink as animated drawings depicting physiologically and physically violent acts against children come to life on his skin. 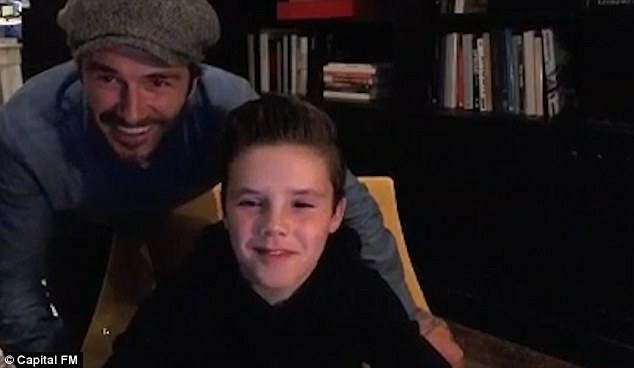 Sharing the video on his Instagram page, David urged his followers: 'Violence can mark children forever. I've met children with @unicef who have been affected by terrible violence and abuse and seen the long-lasting scars it can leave. 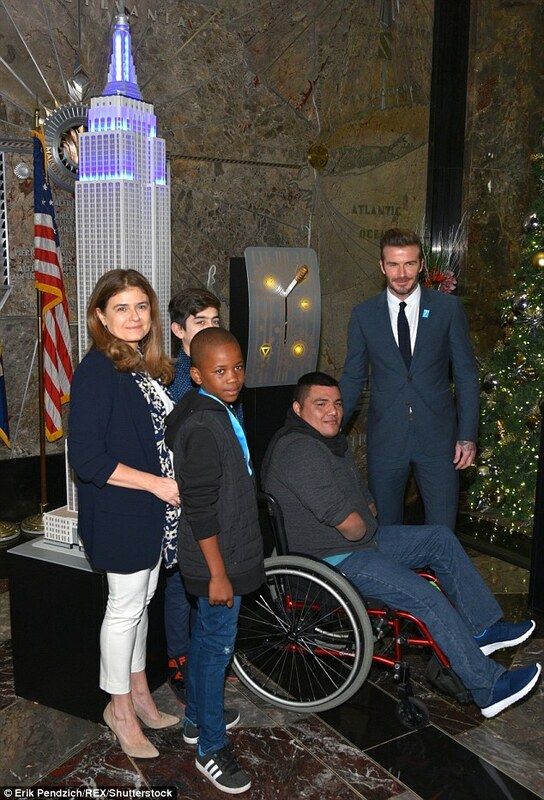 Lending a hand: Beckham has been a UNICEF Goodwill Ambassador for over ten years, launching 7: The David Beckham UNICEF Fund in 2015 which saw him make a commitment to helping the world's most vulnerable children.